It looks like both Tristan Thompson and Khloe Kardashian had some pretty important stuff go down with their exes while they both took matching outfit pics for Instagram. 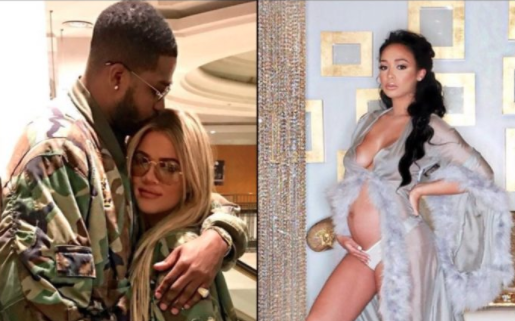 Thompson's ex-girlfriend Jordan Craig reportedly gave birth to his child this past week, all while the Cleveland Cavaliers power forward was seen hanging out with Khloe and the Kardashians. At the same time, Khloe's divorce with former NBA star Lamar Odom became official. Odom has also checked into rehab recently. Congrats to Tristan and Jordy on the new child, though Thompson has yet to publicly address the news.